OMG THE GAME IS SO GOOD!!! 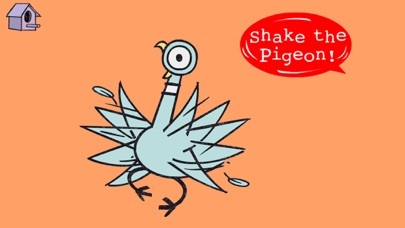 I really like the game because you can record your own voice and the the pigeon even says what you recorded thanks for making the app and I thank Mo Willems for writing the books. It’s broken! Doesn’t work. No updates available! My daughter is trying to answer the bus drivers questions and no matter what she says or what I say it never hears us!!! This app is defective and I want my money back!!! I’ve had this game for a while now and I say that it’s worth the purchase! Sure, the game is fun, but after a while, you get tired of the same thing over and over and over... ect. ect. 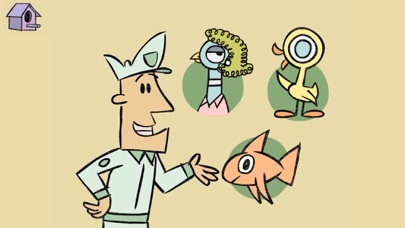 ect., so, to make the game have more stuff to do, you should have the pigeon and the duckling act out the actual stories.Thank you for reading my review and please consider my suggestion. I’ve had this game for a while now and I say that it’s worth the purchase! I think that to make the game more exciting, you should have the pigeon and the duckling act out the actual stories.Thank you for reading my review and please consider my suggestion. Very disappointing! Not much to do here. For the money not worth it. Kids were bored in 5 minuets. The pigeon is so funny! I love it! Don’t Let The Piegon Run That App! The voice recorder portion is broken. The bus driver can’t hear my daughters name. I’ve tried saying it and all other names and he can’t hear anything! Any suggestions? I don’t even know if this counts as a review but it wouldn’t let me download the app! It said press continue to sign in, but the only button there was labeled “OK” and when I pressed it nothing happened. So if anyone knows how to fix this please tell me. My child really wants the app. I have a choice—update to iOS 11 and loose the cute drawings and stories that my kid made a few years, or keep an out of date operating system on my device in perpetuity. No export function and no iOS 11 update=a very disappointed customer who regrets buying this app. My son loves this app. He will make stories over and over again and laugh the entire time. I've recommended this app to other teachers and librarians who have younger kids. One suggestion would be to put in a export or share feature so that we could keep favorite stories. 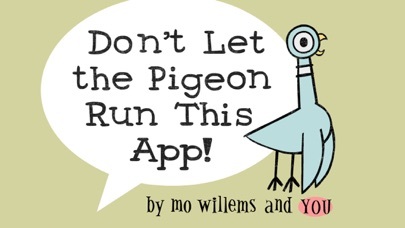 Keep the Mo Willems apps coming! Below is a review of the app from my daughters. My 7 year old used h r own money and is so disappointed with the game she wants her money back. "Hello. We have some complaints about the pigeon game. First off it's boring. By boring I mean there's really not that much to do. Also add more fun games like an activity book mazes with the pigeon. Second every story is exactly the same and could u please use a skip button so we don't have to listen to the bus driver every time. Third on the drawing part please include some other characters from your other Mo William's books. Thank you for reading this". Cute app. We had some good laughs here at home, but the one storyline got old quick. We hoped the three books were various pigeon stories but they were just scaffolded versions for various ages. The drawing is fun but again, you only get to draw one thing. For the price, I expected a lot more. I've trained my kid well. He automatically didn't allow mic use and we spent the next 10min trying to yell his name in the mic. A cute idea, but has very little replay value. Also, it’s not designed to run on the iPhone 6, and shows up with black bars (letterbox) on the sides of the screen. For $5 there should have been way more to do. Also, the microphone portion didn't work so my child couldn't record the personalized story. I know it wasn't my phone, it was the app. What an absolute expensive waste. This app was expensive AND did not work. There is a feature where it asks your kid to record their voice as part of a new story. We tried many times but it did not pick up either my child's voice or mine consistently. Very disappointing. We bought it b/c we are fans of Mo Willems. He should stay away from Disney. we love this app, but since we've updated, it's not recording our voice. It just keeps saying, "whoops! Can't hear you!" We have an iPad. This is a great app...we have used it before on a friends iPad but for some reason it does not hear us on ours. I just downloaded it and am very disappointed I spent $$ on something that doesn't work correctly! This needs to be fixed. I was able to write one story and then it froze. I really loved the idea of the program so decided to download it for a second time for another $6. And it still won't open. Please try to fix it! I'd really love to be able to use it with my grandchildren and students! I' m giving one star for the pigeon drawing part and would give 5 if you could fix it. I had the same problem and contacted support and they replied very quickly with a solution. "Be sure that you've enabled the app access to your device's microphone. You can check this setting by opening the Settings app, clicking "Privacy", and then "Microphone". Mine somehow got turned OFF during the latest IOS upgrade. My child loves this app! She is a Mo Willems fan, so great to have. She likes that you can create your own book and hear it play out. My 2.5 year olds new favorite app. He's getting he hang of recording answers, and loves all three story modes. It makes him giggle like a fiend. Don't let the price scare you, it's totally $6 worth of fun! My daughter loved this app but ever since upgrading the software on my iPhone 5, we are having the same problem described in the previous review... It never hears us when trying to record us speaking. Please fix! My 3 1/2 year old son loves Mo Willems and LOVES this app. We gave him a quick tutorial how to record his voice and he now sits and creates his own stories. He giggles at the silly stories he creates. 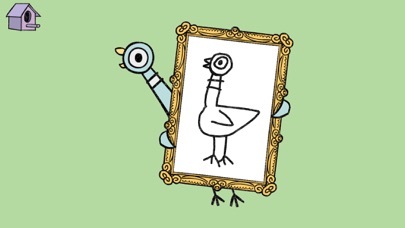 If you've got a child this loves Mo Willems, give it a try. It says "say your name and push this button when you're ready",we say it into the microphone Yet it doesn't work!Please fix this. PLEASE LET THE PIGEON MAKE MORE APPS!!!! There is really only 1 story. Would love to see some additional stories added. This app has zero variety. The story line never changes. Only the child's wording. 3 stories created & he was bored. Very disappointed. The price & ratings make you think you are getting so much more. I'll take a refund. Thanks but no thanks. Great app, but needs email support! This app is wonderful, but I would love the ability to send the favorite stories to my email address and keep them forever. I'm scared my toddler is going to overwrite the fun stories we made together and I would love to have them to keep permanently. I'll add a star if this feature ever gets added. Please remove the scary thing when the bus driver tells he can't hear you and the background turns from green to hot pink! I am not gonna play this app until this is updated! Also, this tried to work on a YouTube video based on it. Please Let the Pigeon Do More in this App! Do you know what it’s like when your daughters favorite app won’t load anymore? Tears. This one star is for a much needed update that hasn’t happened in 4 years. Thought it was cute, but then as soon as I updated my iPhone, I wasn’t able to use the app! Please fix this. Awesome app - on of my daughter’s favorites - but we really need it updated to work with iOS 11! I loovvveee this app! The problem is tho, I can’t play it cause I’m on IOS 11. Please update this app, Thanks! Don't let the pigeo run this app! The app can never download!!!!!!!!!!!!!!!!!!!!!!!!!!!!!!!!!!!!!!!!!!!!!!!!! Needs an iOS 11 update please? This app isn't worth $.99, never mind $5.99. I'm so sorry that I wanted my money on it. It's not intuitive for younger users and provides no educational value. My daughter loves this app but the developers haven’t updated it to work with iOS 11. I paid for this app just a few months ago and now it won’t even open. Please update! The app does not let you do any function except drawing. I could have spent 10 cents on a piece of paper and a pencil and had the same result. DO NOT BUY!! I should have read the reviews first. If your going to spend your money on something, spend it on this. This is the best 6$ I have ever spent in my life. You won't regret it. It offers experiencing the life of a pigeon through Mo Williams eyes. If you get this, you won't regret it! we want more games to play because we love them so much and it's funny to do them. Not working for ios11 !!! It is not working !!! I just paid 4.99$ yesterday for this app and updated to iOS 11 as it requested . After I updated to ios11 then it said not work with ios11 !! 😠 you need to update the app !! Or I need my money back!! My 2 sons love this app and I love hearing their laughter while they play it. Please update your app so we can enjoy it again! We are huge Mo Willems fans! My son loves this app unfortunately due to no updates we can’t use it any more. Won’t work on new phones. Make a update that works with iOS 11. Thanks so much for fixing it! Works great on ios11 now. I never leave reviews. The game was cute, but I updated my iPhone not long after purchasing and the app no longer works because it will not work with the newest software update!! DO NOT PURCHASE! Thank you for finally updating this app to the newest iOS system. My kids have been asking repeatedly to play it again! They have a lot of fun with this app, though I do wish it did more for the $4.99 price tag. 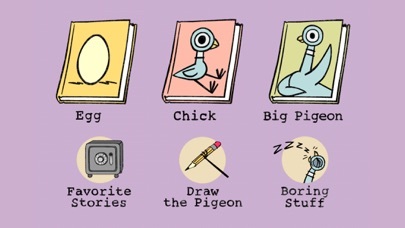 We are big fans of everything Mo Willems! Needs an iOS 11 update please? Respond to this and thank you. Please make the update now!